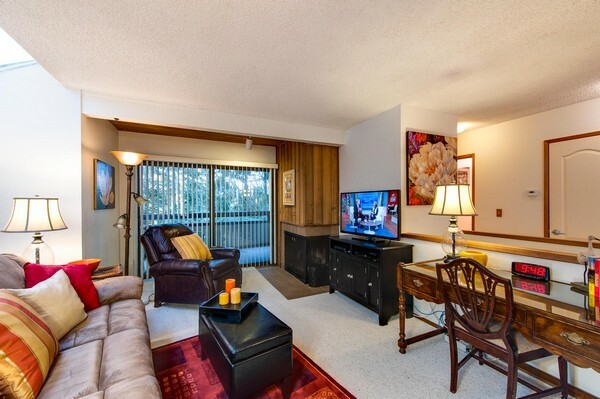 Bellevue - Kirkland - 2 or 3 bedroom townhome for short term rental. 30 day stay minimum. Rent pro-rated daily thereafter. Fantastic Kirkland location; across from south Kirkland Park & Ride, 1 mile to downton Kirkland, 2 miles to downtown Bellevue. Pool, private deck and patio (family room with futon could be used as a third bedroom). All linens and housewares provided. Fully furnished and appointed. Just bring your suitcase!